Concluding a month of shows looking at small press and independent comics, we have a pair of interviews recorded in venues where such titles are stocked. Alex Fitch talks to Jenny-Linn Cole (in the gallery of Orbital Comics), about her graphic novel Shallowater, an epic tale of music, masculinity, TV detectives and existentialism that is being serialised in a series of small press comics. 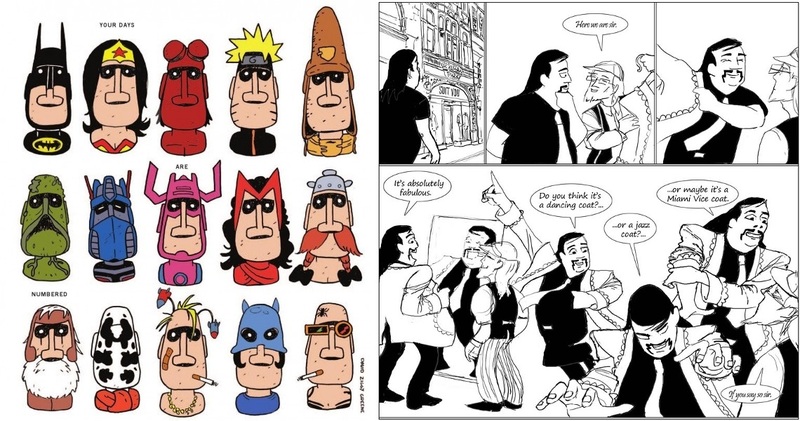 Also, in an interview recorded at the DIY Cultures festival, at Rich Mix cinema in East London, Dickon Harris talks to Jon Turner about the independent comics magazine Your days are numbered which mixes reviews and articles about sequential art with cutting edge graphic design. This entry was posted in Panel Borders on April 29, 2013 by alexfitch.